Federal Pacific, is a division of Electro-Mechanical Corporation. This privately held, American-owned Company was founded in 1958. Contact C.C.Pierce at 800-743-7201 or 781-934-8300 for purchasing and product information for 600 Volt Class Dry-Type Transformers. Included in this product offering are Industrial Control, General Purpose, Buck-Boost and a complete line of Motor Drive Isolation Transformers. Additional information can be found at www.federalpacific.com. The STABILOY® Brand features specially engineered aluminum alloy Feeder and Service Entrance Cables for commercial and residential use. 100% tested for quality reliability, durability, and safety. Products include: Type XHHW-2 feeder cable, XHHW-2 HS (High Speed) & FeederPlex HS® – designed to reduce installation times, WIDESTRIPE HS® XHHW-2 – for fast and easy cable pulls, Type MC cable – for above ground applications, SEU and SER – Service Entrance Cables, BICC®Brand PowrServ® 600V Underground Service and Multiplex Overhead Service Cables. For a full listing of products go to www.stabiloy.com. Contact C.C.Pierce at 800-743-7201 or 781-934-8300 for additional product and ordering information. Excel Dryer, Inc., has manufactured quality, American-made, hand dryers for over 43 years. 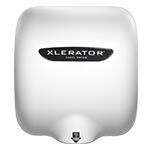 Excel’s full line of hand dryers has supplied cost-effective quality dryers for use in a variety of facilities including schools, hospitals, airports, stadiums, factories, service stations, and many other commercial businesses. For additional product models, color and logo customization, or other options, as well as, pricing and ordering information, contact C.C.Pierce at 800-743-7201 or 781-934-8300.